Charlie Parker: 'Bird Lives!' Part 2 By the mid-1940s, he had already flipped the jazz world on its head. After he returned to New York in 1947, he would finally find fame. Ever the innovator, Charlie Parker sought to expand upon his bebop breakthrough for the rest of his musical career. The legendary alto saxophonist Charlie Parker was one of those rare artists who seemed to come out of nowhere, captivating peers and fans so quickly and completely that the world was changed forever. Parker's innovative phrasing, and his discovery of previously unexplored melodic and harmonic possibilities, put him at the head of a group of bebop innovators that included Dizzy Gillespie, Thelonious Monk and Bud Powell. In the second of a two-part Jazz Profiles, we look at Parker's life and career from the acclaim of the mid-1940s until his death in 1955. After a two-month 1946 engagement with Dizzy Gillespie in California, Parker remained in Los Angeles because he was increasingly lost to alcohol and heroin. While there he recorded several sides for Ross Russell at Dial Records, among them the classics "Night in Tunisia" and "Ornithology." A subsequent nervous breakdown and arrest landed Parker in a state mental hospital at Camarillo. There, doctors found him charming and intelligent, and Parker felt renewed. Although anxious to get back to New York, he recorded two more dates with Dial before departing. "Cool Blues," featuring Erroll Garner on piano, marked the beginning of a fruitful period. Parker returned to New York in the spring of 1947 with a new maturity about him. The music that he had helped pioneer, that so recently was radical, was being accepted by a wide range of fans and critics. Just a couple of months after returning, Parker made his debut at Carnegie Hall with his friend and colleague Dizzy Gillespie on trumpet, John Lewis on piano, Al McKibbon on bass and Joe Harris on drums. Bird's first few months back in New York were a celebration, and he took advantage of his new fame by demanding higher appearance fees and, for the first time, putting together his own working band. He put together a lineup of sax and trumpet in front of a rhythm section of piano, bass and drums. Thanks to Parker's eminence, that instrumentation thereafter became the "standard" jazz combo, according to jazz writers Gary Giddins and Stanley Crouch. Parker's quintet initially included area players as well as an unpolished young trumpeter from St. Louis named Miles Davis. Though he possessed a tone antithetical to Dizzy Gillespies, Miles proved surprisingly complementary. The quintet worked regularly in the clubs on 52nd Street and in recording studios, cutting sides for Savoy and Dial. Parker continued to write and record tunes based on the changes of familiar standards — a necessary practice because smaller labels such as Savoy and Dial could not afford royalties for original tunes. Fats Waller's "Honeysuckle Rose," one such standard, became the classic "Scrapple from the Apple." Birds quintet, with Davis on trumpet, Duke Jordan at the piano, Tommy Potter on bass and Max Roach on drums, recorded "Scrapple" on November 4, 1947. Phil Schaap recalled Ben Webster likening Bird's inventiveness on the recording to the playing of pianist Art Tatum. Parker was also a master of ballads — Giddins calls his solo on "Embraceable You," recorded during this period, "extraordinary." In 1949, Parker took the quintet to Paris. In France he was received with the love not accorded him in the United States. However, he was treated with more respect when he returned. Before long, one of the most famous jazz clubs in history opened on 52nd Street in New York City and was named for him: Birdland. Parker played Birdland regularly for four years, and many of his dates there were broadcast on radio. It was during this period that Parker's still growing fame allowed him to realize his dream of recording with strings. Producer and promoter Norman Granz and Mercury Records A&R Director Mitch Miller organized the 1949 recording sessions that resulted in Charlie Parker with Strings. They were the most commercially successful records of Parker's career, but jazz critics unanimously complained that Bird had sold out. Still, Jackie McLean considered the recording beautifully moving, and Granz said the critics simply were not listening. An unintended result of the records commercial success was the demise of Bird's working quintet in favor of pairing Parker with strings. After dates at Birdland and the Apollo Theater, the new format triumphed during the legendary 1950 recording Midnight at Carnegie Hall and answered criticism of Charlie Parker with Strings. Nonetheless, Bird abandoned the group after two years of diminishing reviews and bookings, turning his attention to Latin rhythms, among other challenges. A show at Massey Hall in Toronto in 1953 was one such challenge. Billed as "the greatest concert ever," it featured Parker at the top of his game and in the familiar environs of the quintet, with Dizzy Gillespie on trumpet, Bud Powell on piano, Charles Mingus on bass and Max Roach on drums. Bebop, it was clear, was more popular than ever. But it was equally clear that Parker was still searching. In his last years, he approached classical conductor Gunther Schuller and composer Edgard Varèse as part of his quest. Parker explained to saxophonist Paul Desmond in a radio interview that he remained intent on learning about music. Bird never realized his ambition to study in the classical tradition. By the winter of 1954 his heroin and alcohol addictions were taking their toll. Parker had developed a reputation as an unreliable performer and was banned from Birdland. Nearly broke financially, broken by his young daughter's death and unsuccessful at suicide, Parker found refuge in the residence of jazz patron "Nica," the Baroness Panonnica van Koenigswarter. At a party at her apartment, Schuller recalled Parker nearly pleading with him "like a dying man." Bird's last conversations with his former wife Doris, and old friend Gillespie, were similar. 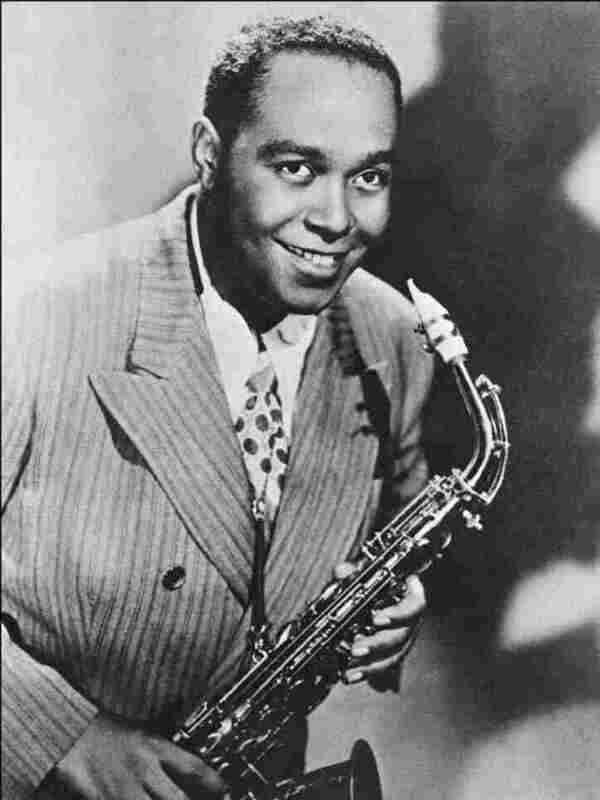 Charlie Parker died at Nica's apartment while recuperating from an illness. He collapsed, choking, while watching the Tommy Dorsey Show on television. Mysteriously, his death was not reported to the officials for two days. A doctor at the morgue estimated Parker to be in his mid- to late-50s; he was 34. Although Parker's career was tragically shortened, his musical legacy still echoes strongly in virtually all of the jazz produced since his death. Charlie Parkers persona proved larger than life; almost immediately after he died, graffiti sprouted up all around New York City with the message "Bird Lives."